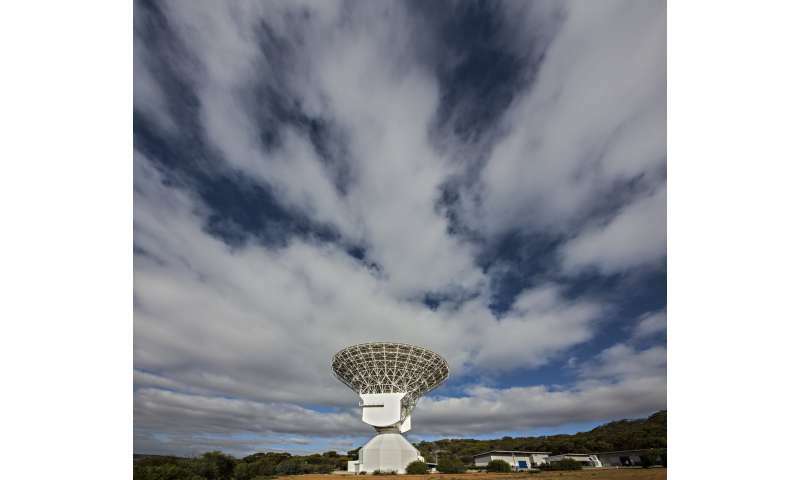 On 5 May 2018, ESA's 35 m-diameter deep-space radio dish at New Norcia, Western Australia, monitored NASA's InSight spacecraft providing critical tracking support during launch and early operations on its journey to Mars. ESA's New Norcia station maintained contact with InSight and its two MarCOs CubeSats as backup to NASA's own Deep Space Network ground station at Canberra, on the easterly side of the continent. "NASA requested our support because, at this time of year, the southern hemisphere has very good visibility of the trajectory to Mars," explained Daniel Firre, the Agency's ESA-NASA cross-support service manager. "This meant our Australia station was ideally located to provide back-up support to their DSN station at Canberra." New Norcia will also be involved in monitoring Insight's Mars touchdown on 26 November. ESA's deep-space station at Malargüe, Argentina, also in the southern hemisphere, worked in coordination with New Norcia to provide additional tracking coverage on launch day.